The CDI team installed a 7.1 system with James speakers all around recently. The environment had a few common challenges to overcome, and the CDI team partnered with James to come up with some excellent solutions. Problem 1: The layout of the room was very open, and the client didn’t want to have any exposed speakers. The only cabinet in the space is a highboy style media center below the TV, which houses the center channel and subwoofer, but the remaining speakers had to be in-ceiling. Solution: The 33AL, which is one of the only LCR style speakers that would fit in the cabinet sounds incredible, especially for its size. It’s only 11.25″W x 4″H x 4.5″D. With two 3″ aluminum drivers, and a single 1″ neodymium driver, this piece kept up with the large 6.5″ drivers of the in-ceilings, and blended beautifully with the sub being in the same cabinet. 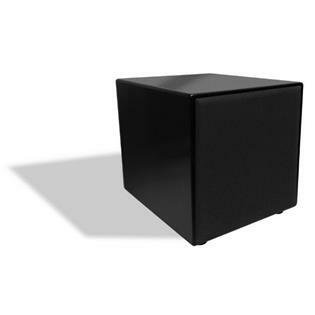 Speaking of the subwoofer, the EMB1000 has become our favorite cost conscious sub. We were able to really dial the sub in to perform in the media space, but not boom all over the house. Additionally, the sub’s ability to reach higher than normal mid-range frequencies (up to 150Hz) helped to offset the somewhat limited range of the center channel. The two speakers were nearly seamless in range transition and delivered a very wide sound stage which helped the fact that the front left and right speakers had to be in the ceiling. James also does a nice job with their magnetic grills for their in-ceiling/wall speakers. The QX620 speakers come with either square or round grills, and protrude off the wall less than 3/16″. This was great for our clients as they really wanted to hide the speakers as much as possible. Problem 2: The media room is in the client’s basement directly below the husband’s study and master bed room. While the home owner wanted to maximize performance in the media room, audio bleeding through from floor to floor was a big concern. 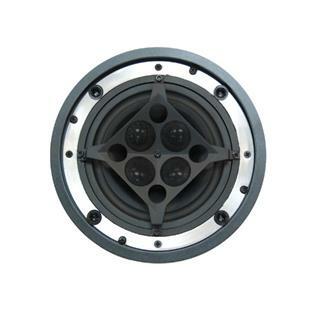 Solution: The James QX620 in ceiling speakers were the perfect solution. The fact that the enclosures are entirely built from aircraft grade aluminum makes them incredibly durable, and virtually eliminated any bleeding from the basement to the main level. The other reason these speakers were a great fit was their dispersion. We broke the speakers in for several hours, and came back out to re-tune the system. Once the break in process was done, the low end of the speakers blew us away. They can get as low as 65Hz, but we set the crossover in the receiver @ 100Hz to allow the sub to do a little more of the low end work. Again, the blend from sub to speaker was incredibly fluid and tweaking the crossover made a substantial difference in the overall sound stage of the room. Problem 3: The space needed to be a true listening/2 channel room and also function as a theater environment. Solution: One of the things that I like the most about James speakers is that they do a wonderful job of both. The James QX620 uses 4 tweeters, each with a 22.5 degree offset from level. This really helps get the high frequencies around the room. While that’s great for theater, it’s usually a bad set up for stereo listening. So when we turned the system over to 2 channel and heard real, audible imaging, we were shocked. It’s hard to get imaging of any kind with a pair of speakers in the ceiling, but it’s amazing to have imaging and great dispersion at the same time. The angled tweeters also seemed to help in widening the sound stage. The room is quite large already, with the front right and left channels nearly 15 feet apart. But when listening to 2 channel, sub placed directly between left and right speakers, it really sounds like the room is much larger. I was also impressed by how deep in to the room the front speakers reached. Again, in-ceiling fronts are not ideal but in 2 channel mode, the pair of QX620s still filled the room nicely. The fact is, James speakers represent an excellent solution for quite a few of the problems most homes present. Couple their innovative designs with their bullet-proof engineering, and you get a product that offers excellent value. A little about James Speakers: Designed and manufactured in Napa, California, James Loudspeaker has been in business since 1999. They’re well known for their unique outdoor speaker solutions, which include under eve, on-wall, landscape, and subterranean subwoofer. James is also very popular in the marine industry, as nearly all of their products are engineered to be exposed to water. Most of their products are built with air craft grade aluminum enclosures, and either aluminum or beryllium drivers. 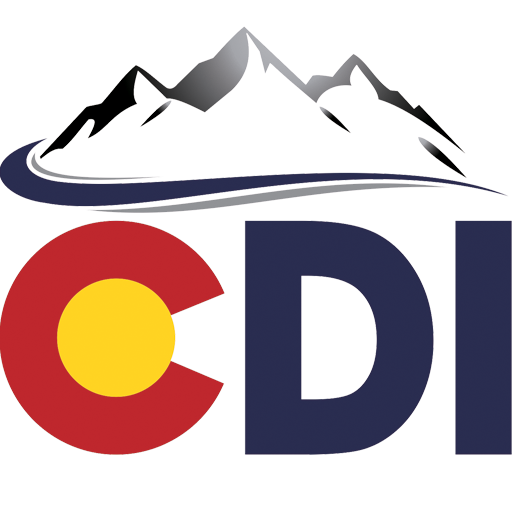 James is also one of the few companies who has truly partnered with customer integrators like CDI. They work with companies like ours to develop completely custom designs for a client’s unique needs. As an example, they recently re-engineered one of their sound bars to match the aesthetic of an existing flower box that was located below a client’s televisions. The sound bar performed beautifully, and the planter box was still able to hold flowers. Recently, James has released their small aperture series. With only 3″ visible openings, these speakers produce an astounding frequency range from 38Hz – 22kHz! Come back to our site soon for a more detailed review of both the sound bar and aperture line. Better yet, contact CDI today to get some James Loudspeakers put in your home. With their quality, customizability, and outstanding performance, why wouldn’t you?